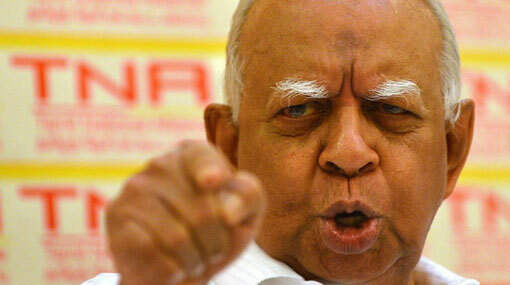 Opposition Leader R. Sampanthan says that so far the Tamil National Alliance (TNA) has not been contacted by any party with regard to forming a new government. He stated that because no one has approached them as of yet, they currently have no intention of discussing the matter right now. Responding to a query from Ada Derana regarding rumours doing the rounds on a possible UNP-TNA alliance to continue the government, he said that when and if a certain political party official contact them about this they will discuss the matter and take a decision. “However, nobody had talked to us about this and we still do not need to take a decision about it,” he told Ada Derana. Speculation has been rife that the TNA is prepared to support the United National Party (UNP) to form a government, but it will not accept any ministerial portfolios.